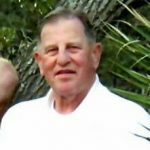 John David Zehr, 78, of Champaign died at 12:30 a.m. Monday, December 3, 2018 at Meadowbrook Healthcare Center, Champaign. Funeral services will be held at 11:00 a.m. Friday, December 7, 2018 at East Bend Mennonite Church, Fisher, Pastor Michael Dean will officiate. Burial will be in East Bend Mennonite Church Cemetery, Fisher. Visitation will be held from 5:00 p.m. – 7:0 p.m. Thursday, December 6, 2018 at Morgan Memorial Home, Savoy and from 10:00 a.m. – 11:00 a.m. Friday at the church. John David was born on February 27, 1940 in Bloomington, the son of Lester and Faith Schertz Zehr. He married Bernie Magsamen on September 8, 1973 in Champaign, she survives. Also surviving are two sons; Scott D. Zehr of Chippewa Falls, Wisconsin, Jonathan J. (Tricia) Zehr of Mt. Pleasant, South Carolina, one daughter; Sarah (Daniel Gantz) Zehr of Savoy, one grandson; Adrian J. Zehr, two brothers; Robert (Cindy) Zehr of Foosland, Daniel L. Zehr of Gibson City, and one sister; Mariella (Doug) Braun of Mahomet. He was preceded in death by one sister; Lois. John David retired from the Unit 4 School District Bus Garage. He was a life-long member of East Bend Mennonite Church, Fisher. John David was a die-hard Cubs and Bears fan. He loved visiting his friends. Bernie, So sorry to hear about John. We worked many years together at Sullivan Chevrolet. He was such a good man and fun to work with. Sorry for your loss. John David was a good friend and neighbor. Both of us grew up on farms that butted each other. John, you did We attended the same Fisher schools from Elementary- High school. Ruth and I enjoyed having him as part of our wedding. We moved out of state but looked forward to seeing John during our frequent visits to the good all you days!!! We enjoyed meeting your wife and lovely family at your birthday celebration a few years ago. John David you did good!!! I grew up in John David's neighborhood. Our parents were farmers and our land butted each other. We also saw each other while operating farm equipment. He was one year younger than me. We went to the same Fisher schools from elementary though high school as well as to the same church. John David was part of my wedding to Ruth Emerson. He was very friendly and always greeted us when we visited the area during college and at other times. He was a constant friend. We enjoyed meeting his wife and lovely family at his birthday celebration a few years ago. John David, you did good all your life!!!! I'm sorry to hear about John passing. John hired me back 29 years ago at the gas station. He really helped a single mom out. John kept in touch with me when I left and went to work at farm and fleet. I always appreciated his kind words of encouragement he always had. John had his own way of touching peoples lives. God bless you and your family in these hard times. John, Thank you for being a great brother-in-law and a great guy. You should have worked harder on me to support the Cubs. I plan to catch-up with you one of these days. R.I.P. You're greatly loved! !